The US ambassador to the UN, Nikki Haley, has raised the stakes in Washington's war of words against Russia, describing its unproven “meddling” in the 2016 election as “warfare,” just as the head of the CIA said it had no effect on the vote. "When a country can come interfere in another country’s elections, that is warfare," Haley declared during a conference held by the George W. Bush Institute in New York City. Election meddling, according to Haley, is Russia's "weapon of choice and we have to make sure we get in front of it." 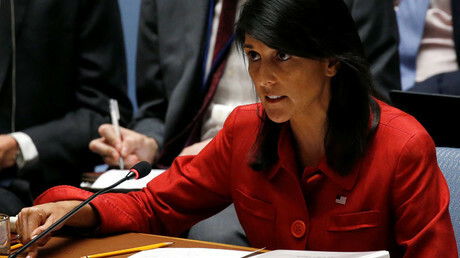 And it's not just the US the Kremlin is waging war against, Haley said. It's "everywhere," she claimed, without bothering with specifics. Russia's supposed interference with the 2016 US presidential election has been the subject of a massive investigation by Washington lawmakers and intelligence agencies, which has produced no proof to date. This has never stopped US officials from treating it like a given fact, however, something that, according to Haley, "everybody knows" happened. As Nikki Haley was issuing her warlike remarks, CIA director Mike Pompeo said the “meddling” has had no effect on the US election whatsoever. "The intelligence community's assessment is that the Russian meddling that took place did not affect the outcome of the election," Pompeo said at a public event, responding to a question from NBC News. The CIA, however, scrambled to backtrack on its director's words, with spokesman Ryan Trapani saying: "The intelligence assessment with regard to Russian election meddling has not changed," according to NBC. In fact, per the January report, there hasn't been any assessment "of the impact that Russian activities had on the outcome of the 2016 election." Nikki Haley's new radical take on the "Russian meddling" narrative seems to fit the description of the ongoing anti-Russian hysteria called out by Russian President Vladimir Putin. “Somebody lost the election to Mr. Trump – the whole blame was pinned on Russia, and frantic anti-Russian hysteria unfolded. Any failure is linked to Russia. 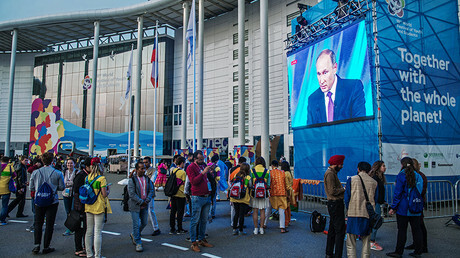 Look for Russian trail in any issue,” Putin said at the Valdai Forum in Sochi on Thursday. The Russian embassy in Washington DC has issued its own comment. "In their insinuations about Russia's 'interference' in the 2016 US presidential elections, American politicians know no restraint. One fresh example is the US ambassador to UN, Nikki Haley. She has essentially accused Russia of initiating 'warfare' against the US last year." The embassy statement has reiterated Russia's attempts to return relations to normal, based on equality and mutual respect. 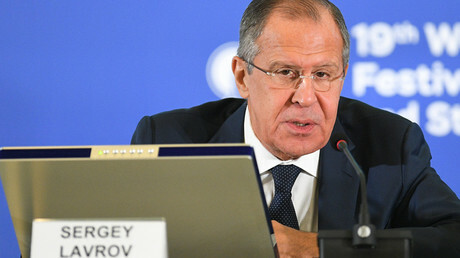 Since November 2015, it said, Moscow has suggested holding bilateral consultations on cyber threats, but Washington hasn't shown readiness for that. "We would like to remind our colleague Nikki Haley," the statement concludes, "that those who interfered in the US elections, and in the most overt and unceremonious way, should be sought amid officially-declared allies and friends. They campaigned for the Democratic candidate and voiced worries over the Republican candidate's possible coming to power. The facts are there. It suffices to look at last year’s newspapers or go on the Internet." Haley’s rhetoric is driven by her ambition and is merely an attempt to draw attention to her persona as a potential replacement for Rex Tillerson, Brian Becker, Director at Anti-War Answer Coalition, told RT. “She is trying to draw attention to herself, and what is the better way to draw attention to yourself than to beat the drums of war,” he said, noting that while Hailey is clearly exaggerating the tone of her remark fits perfectly in the war-mongering line of the current US administration. “You have the United States’ government vomiting up war rhetoric constantly, including by the chief US diplomat Nikki Hailey. It’s a disgrace,” Becker said. 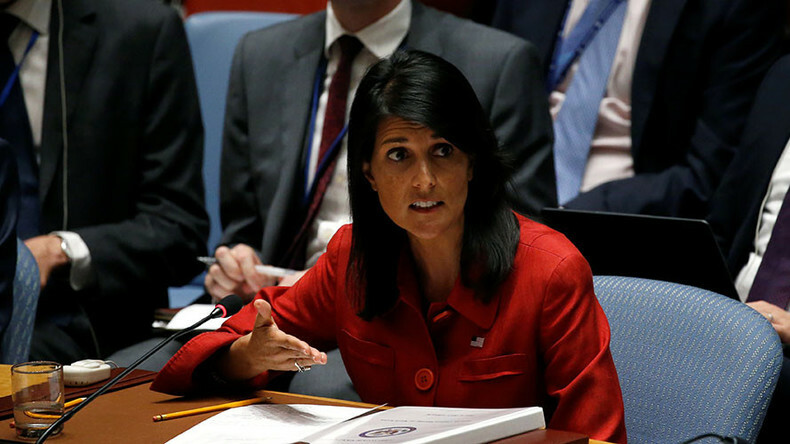 While Haley didn't come with any new-found proof to back her claims, Washington's own interference in other countries’ affairs is “well-documented,” and has long become a “playbook for the US,” Becker argued. “The United States wins the Oscar every year for meddling in other peoples’ elections, no other government has a track record like this,” he said. Becker went on to that the US casually “overthrows the governments when people elect people that the United States doesn’t like,” referring to the coup orchestrated by CIA in Iran in 1953 and in Guatemala in 1954 as some of the examples. Haley is “one of the strongest voices within this administration against what Donald Trump said he wanted to do: to improve relations with Moscow to push for very militant, war-like policy on North Korea and Iran,” former US diplomat Jim Jatras told RT. The strong language used by Haley might be an attempt by her to save face with the US political establishment, but it also reveals her lack of belief in the administration of which she is part, said Jennifer Breedon, an anti-terrorist expert and legal analyst. Haley’s comment is “very problematic” since it sharply contradicts the US president’s stance on the alleged Russian interference, a topic typically not on the agenda of a UN ambassador. “She is a part of his administration as the UN ambassador, and what she really did what just sidestep and try to go into these talking points, casting blame and casting doubt on our electoral process unlike her boss, President Trump has been trying to do,” Breedon said, adding that this sows discord in the Trump administration. In any case, Haley can be certain the US media will have her back, Breedon said.